Dominate any type of terrain with the all new off road 1:20 hummer electric rtr monster car. 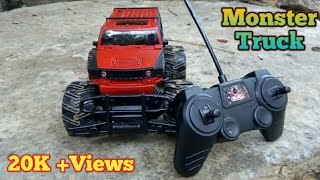 Featuring a full function transmitter, this awesome hummer monster car allows you to control every single move it makes with ease. But don’t think this remote controlled hummer is only good for off reading because this bad boy can haul on and off the road. The body is extremely durable while the huge front and rear bumpers make this rc extremely rugged. The off road 1:20 monster hummer car comes with a rechargeable battery for the truck, a charger and a transmitter. 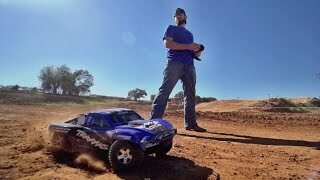 This awesome rc car stand out whether it is night or day. 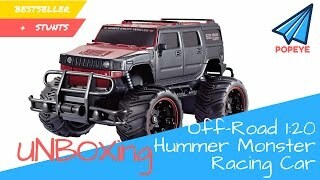 A must have for fans of off reading, get the off road 1:20 hummer monster car today and have a blast.features:electric powered full function transmitter telescoping antenna rubber tires detailed design sturdy construction ready to run 1:20 scale.